Offering you a complete choice of products which include LAN Extender and Print Server. 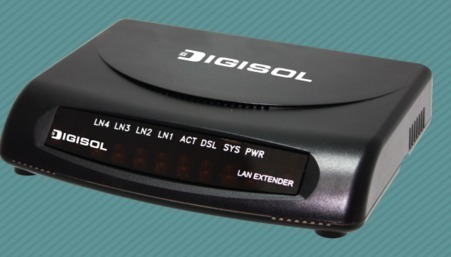 DIGISOL DG-IC422A is a high-speed G.SHDSL device which meets the needs of both bandwidth and management functions. It is designed to provide high performance via a single G.SHDSL line. It can be easily configured through a user friendly Web and GUI-based interface or alternatively through the Console port. The DG-IC422A is an ideal product for SOHO users starving for fast, reliable connection with a minimum of operating expense in a campus or point to point application. Service providers can also use it to offer DSL services to customers. DIGISOL DG-PS1010U is a compact USB print server that integrates with your LAN using Ethernet or Fast Ethernet network. It allows wired or wireless stations in your LAN to access and share a USB printer, no matter where they reside in the LAN.